EarlyComputers: The PACE TR-48 . This analog computer gives new meaning to the term "desktop". At four feet wide, almost two feet deep and just over two feet high, this computer just barely fits on a desk (and there's no room left over for your notepad and pencil -- see the link to Documents). Weighing in at between 320 and 425 pounds (depending upon the configuration), this particular computer sits on a custom made desk which holds up to six patchboards. The TR-48 was the most complete desktop analog computer available of its time. 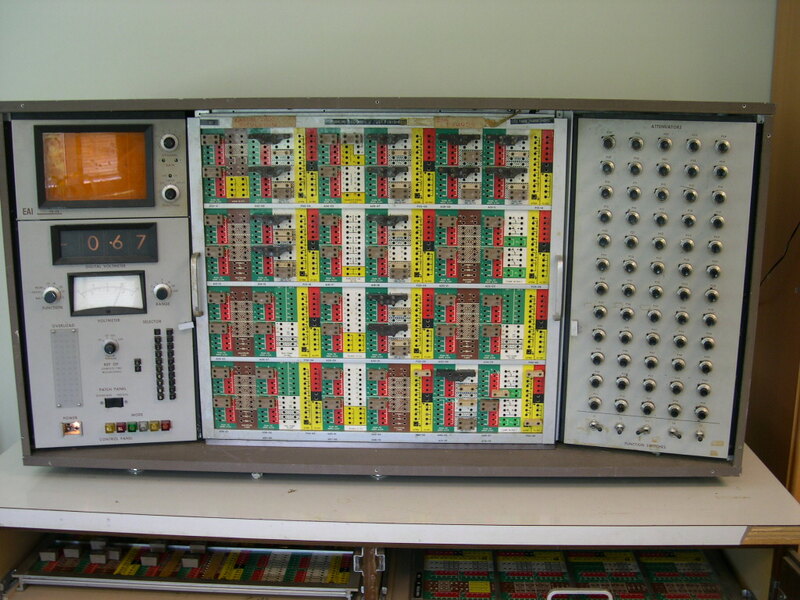 It solved sophisticated problems that required high-speed repetitive operation and iterative techniques with a capability equal to many console computing systems. 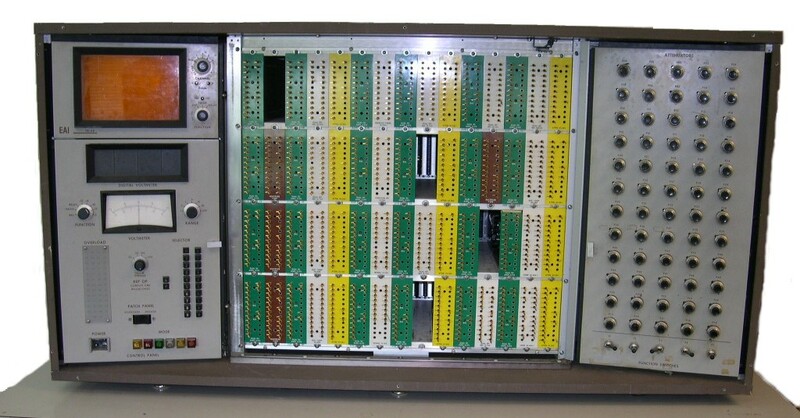 Characteristics include a 48 amplifier capacity, the widest bandwidth of any desktop computer of its time, iterative solution and multi-scale capacity, high-speed repetitive capability, 4 independent time scale changes, solid state readout, removable patch panels for flexibility, and a compact and mobile low power drain. It was used for aero-space, biomedical, chemical engineering, and food technology. Here's how the Operator's Manual describes the TR-48. 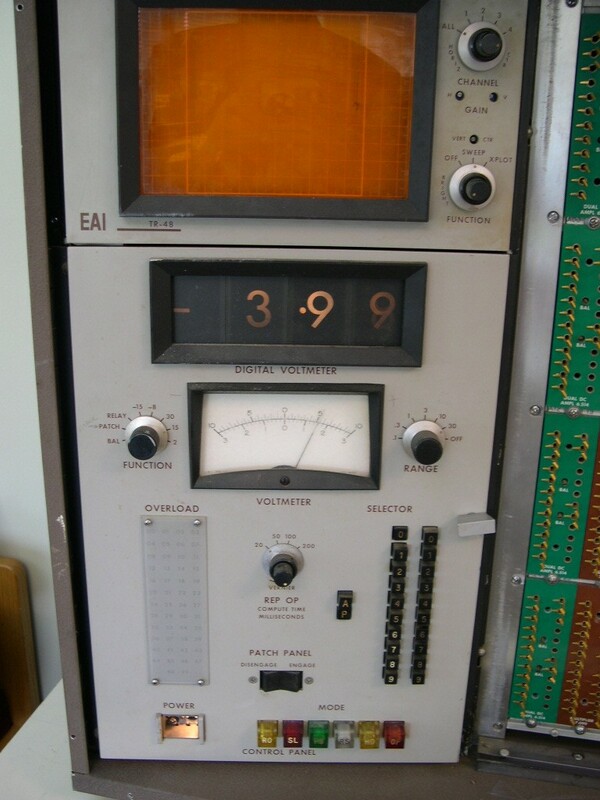 "The PACE© TR-48 is a fully transistorized, general purpose analog computer. Consisting entirely of solid-state circuit elements, the TR-48 is compact in size and is suitable for desk top mounting. The computer is able to operate stably and accurately in normal office ambient conditions; there is no need for large primary power systems or special colling duct installations since the power requirements are small." As to their claim that the TR-48 is compact in size, that is a relative claim made in comparison to the computers of the 1950's...all we can say is that the author of that operator's manual never attempted to lift this 425 pound monstrosity into the back of a van! Surprisingly, the claim about power consumption it true...all this computer needs is a regular 115v wall outlet! We are still looking for information as to when it was originally sold to the public. We can confirm that it was sometime before 1961. It seems that the TR-48 was part of the Apollo moon program. The "Apollo Monthly Progress Report" dated August 31, 1962 includes the following comment at the bottom of page 35. 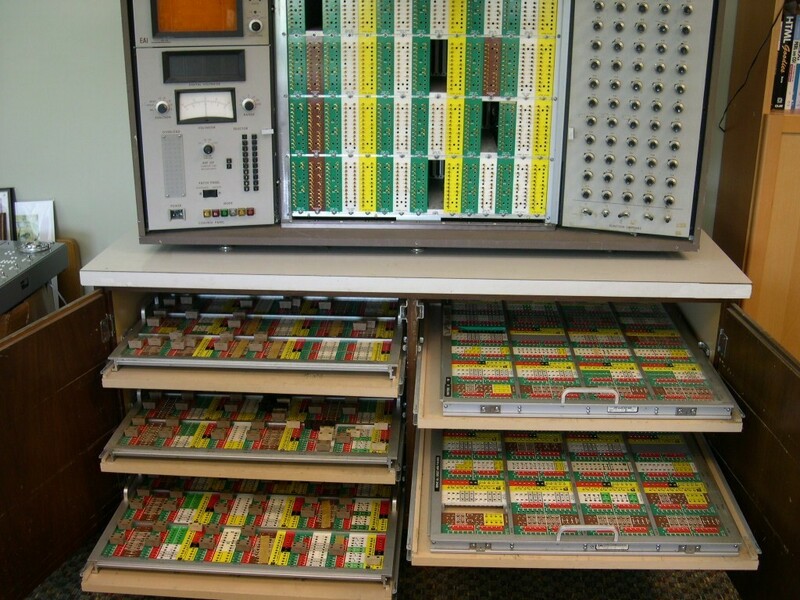 "The fabrication and development of test logic simulation and switching circuits for use with the in-flight test system has continued, and the roll simulator for TR-48 computer is under construction. The miniature control and display system breadbroad model is being modified to improve performance and increase reliability." In addition, the TR-48 was still be used in the 1970's to simulate the stars and their movements so that the staff could test the star tracking system used by Apollo astronauts. In a side note, it is interesting to see that the star tracking system aboard the Apollo capsule used an early Intel 8080 microprocessor.